Photo by Jamey Firnberg -- Lazy Lester has been added to the Baton Rouge Blues Fest 2016 lineup. 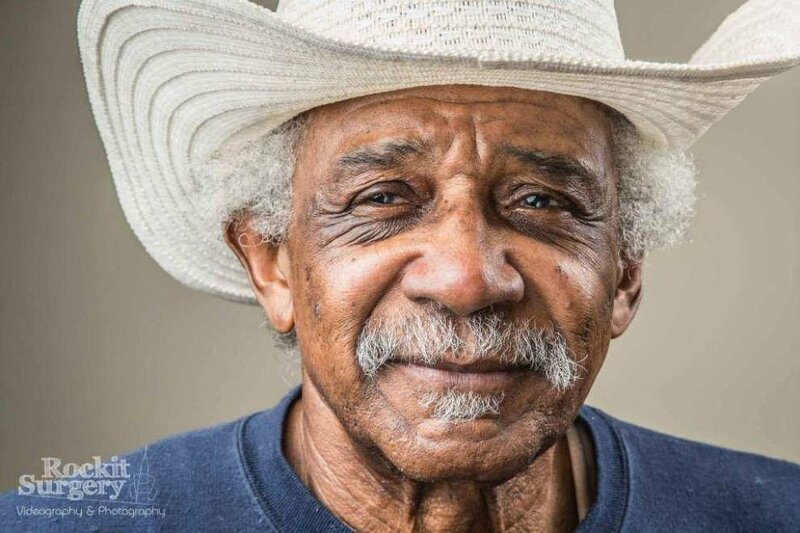 Leslie Johnson, the architect of Louisiana swamp-blues who was better known as "Lazy Lester," died Wednesday afternoon at his home in Paradise, California. He was 85. In the 1950s and ’60s, Johnson was a key player at Jay D. Miller’s studio in Crowley. Miller’s partnership with Nashville’s Excello Records yielded classic swamp-blues recordings by Johnson, Slim Harpo, Lightnin’ Slim and other Baton Rouge artists. Johnson was a one of kind artist and character, said Baton Rouge Blues Festival and Foundation President Clarke J. Gernon, Jr. “His charm and wit will be missed, but his music will never die,” Gernon said. In addition to his own recordings, Johnson contributed guitar, harmonica and inventive percussion to recordings by Lightnin’ Slim, Slim Harpo, Katie Webster, Carol Fran, Lonesome Sundown, Tabby Thomas and Nathan Abshire. He’s heard in Miller’s blues, Cajun, country and rockabilly records. Born in 1933, Johnson grew up in Pointe Coupee Parish and Scotlandville in East Baton Rouge Parish. His early music work included a band with the late Baton Rouge singer-harmonica player Raful Neal. Johnson’s recording career began after he coincidentally shared a bus ride with Lightnin’ Slim, aka Otis Hicks, to Miller’s studio. When a harmonica player scheduled for Hicks’ recording session didn’t show up, Johnson told Miller he played harmonica better than the absent musician. “So, he found out I could,” Johnson said later. Miller gave Johnson his Lazy Lester moniker. “Because I’m never in a hurry,” Johnson said. In the mid-1960s, Johnson left the music business because he thought he hadn’t been fairly compensated. His many non-music jobs included lumberjack and furniture hauler. Nonetheless, he sat in with Buddy Guy and Jimmy Reed when he lived in Chicago in the late ’60s. Johnson lived in Pontiac, Michigan, from 1975 until his move to California in 2005. Neal visited the ailing musician last week at the home he shared with his friend, Pike Kaksonen. During the visit, Neal cooked gumbo for Johnson, Kaksonen and a large gathering of their friends and neighbors. Despite the pain metastasized cancer caused Johnson, he sang and played guitar with Neal. Recently he played the unlikely role of co-star to the gecko mascot in a GEICO insurance company commercial, sitting in a rocking chair on a porch in Memphis playing the harmonica. Before his death, Johnson asked Neal to help him write a book about his life that would set the record straight about his hundreds of sessions at Miller’s studio. Kaksonen anticipates there will be memorials for Johnson in California and Louisiana.